Along with the other two cards I posted, I sent these out. I think I mailed off 87 cards this year. These can be found on Pinterest. I liked this stamp because it reminded me of the vintage ornaments that hung on our tree when I was a kid. Of all the ornaments that hung the ones I thought were prettiest had the circle in the center that indented and shined with gold and perhaps had some glitter for sparkle. This picture doesn't show it, but I stamped the ornament twice, cutting out the center on the second. 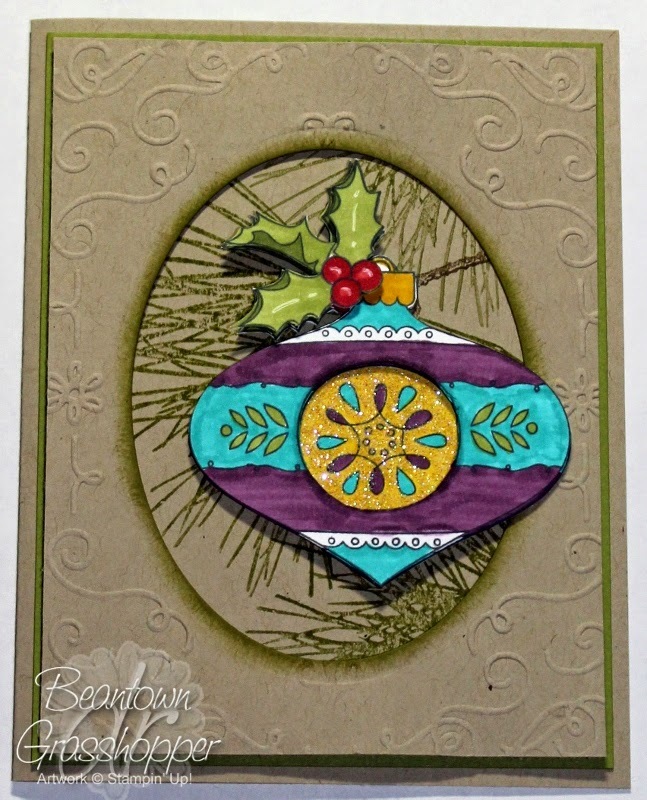 I stamped an extra holly portion from the ornament as well. 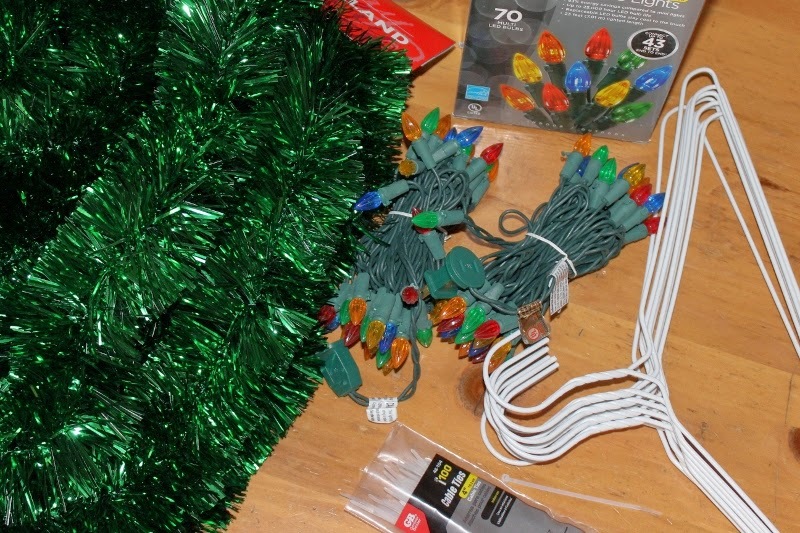 The holly is in 3 layers and the ornament in 2. 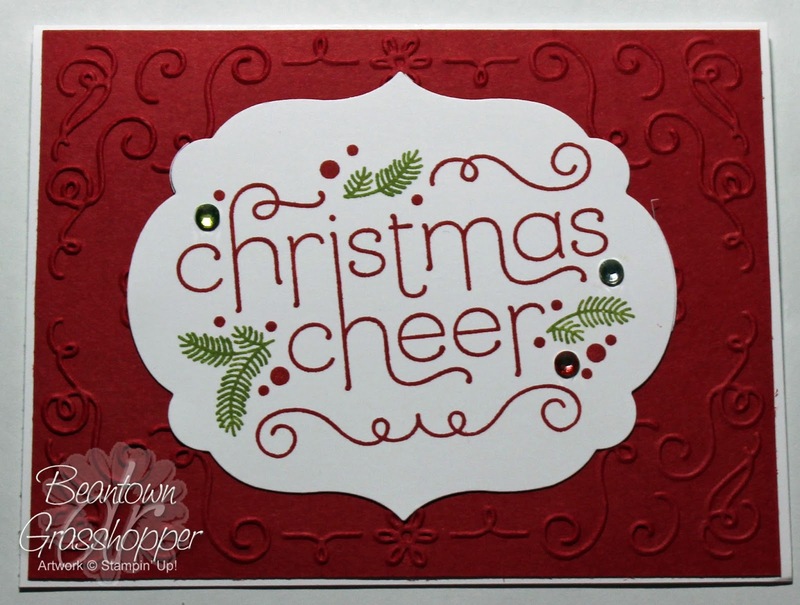 This weekend is the first time VC Rocks has held a blog hop in December! So happy to have a chance to share one of the cards I've made for Christmas. 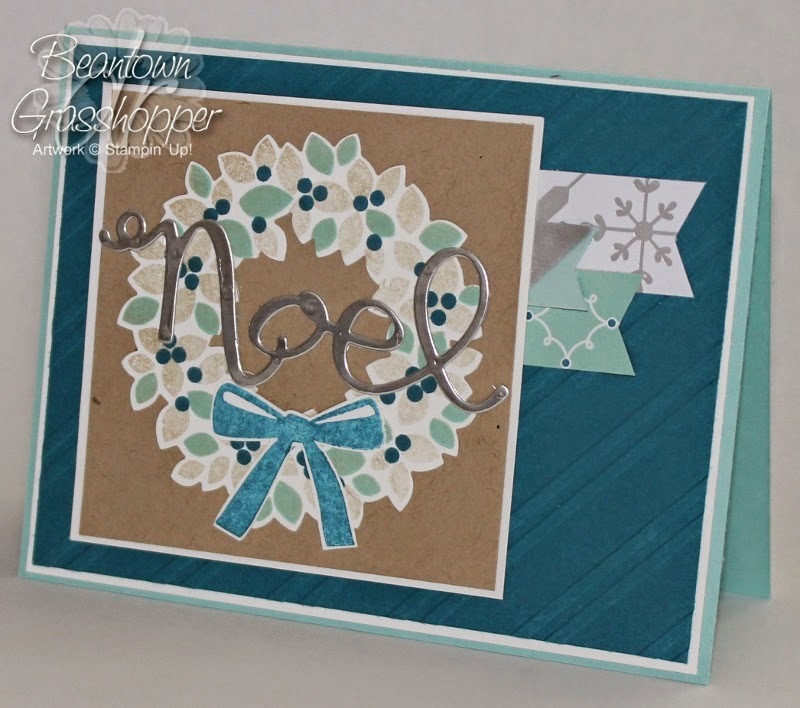 I'll share another card later but this is my favorite of the two I plan to put on my blog. I've made 80 cards out of 14 designs. The card above is the 1 and only I'm making of this style. I stamped off the Crumb Cake before stamping on the CS for a lighter shade. I did the same thing for the bow using Island Indigo. I put a piece of Pool Party CS under the vellum banner strip. This ornament is one of the things I made to give the Young Women at church an idea. I had a lot of these ornament halves and offered that they could make ornaments along with the cards and the baby hats they were knitting. The cards and ornaments are going to go to an assisted living facility when they go caroling next month. The baby hats are going to be an ongoing project to donated to a hospital later. 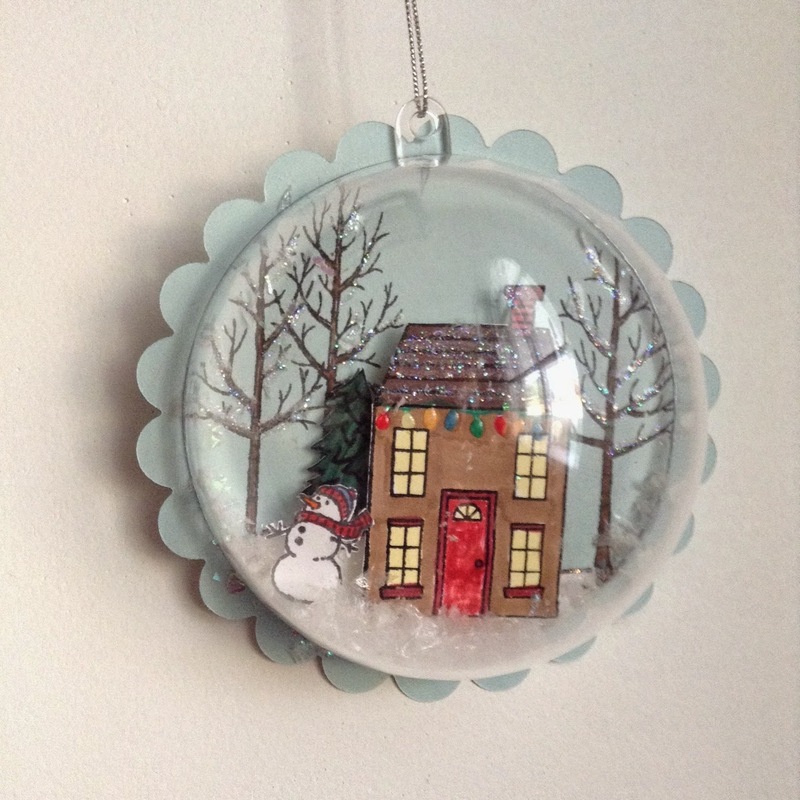 I used Crystal Effects to attach the ornament to the background. About 10 years ago I attended a training either at a Pow Wow or a University of Scouting. I've attended and taught at many of these over the years and have files of handouts. I had one of my handouts out before the move to generate some ideas for a Roundtable meeting. I never put the papers back in my file but they moved with my office. All is good, right? It was until we got a puppy. My papers fell off a pile I needed to take to another room and it ended up wrecked by the puppy. I saved it and just typed it up so I can still reference it in the future. I am not the author of this document, nor do I recall who taught the class. I have verified the links and omitted things that were applicable to the area I was living in at the time. Still a lot of good information for you. 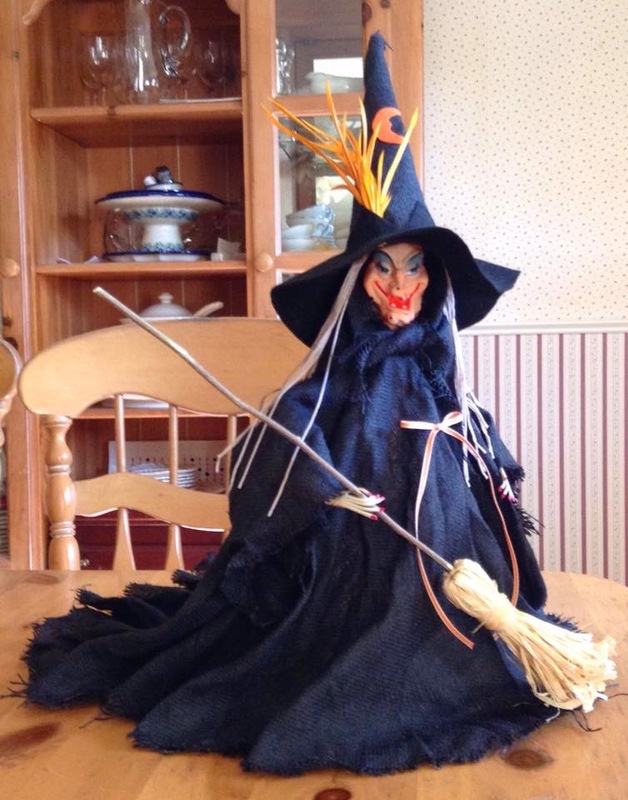 In 1985 my Aunt Beth taught my mom how to make a witch like this. We were talking recently and I mentioned how much I liked that witch. She told me she still had the directions and would be willing to teach me. I was excited but knew it may be a challenge to find the witch face needed. Google to the rescue. After many different searches, I was able to find the masks. They are 2-1/2" wide and 3-1/2" long. The back is open so it is more of a half mask. The face itself is the same as what they used in 1985 but this one was a harder plastic. The face they used before was more of a rubber than plastic. You can see from the next picture a bit more of the mask and how we secured it. We put 2 styrofoam balls in the back of the mask and taped them with masking tape to secure them. A 14" (1/4") dowel went through the styrofoam to help support it while we shaped the dress. I hosted a swap called "Save That Page" a couple of months ago for VC Rocks. I took pictures of all of the bookmarks are received thinking I would get the pictures posted while I was in a hotel room with nothing to do at night. It was quite late by the time I we were settled in hotel rooms and getting on my laptop was not on my list of things to do. We spent a week with my mom and by the time we got to where we were moving, we explored the area we would be living in, cleaned and painted the house waiting for our things to arrive. It was a busy time. I still need to finish my sewing/stamping area. I'm missing a couple of boxes, one being my cardstock. I need to go through our storage area to be sure it didn't get put there with the Christmas boxes. 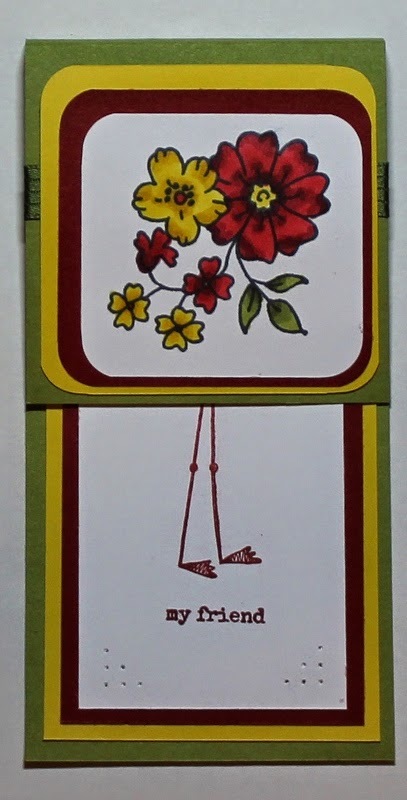 This first bookmark is by Brenda Hugar. I took a picture of it closed and opened.